The US already had the tender violet SS.... This "upload" really sucked. They just moved product photos around like we wouldn't notice they were previously uploaded. The violet SS swiftly isn't new. I purchased it on the US website last week. I have the Tender Violet SS Swiftly (Canada got it a few weeks ago) and I love it - perfect colouring for winter gym outfits. @ anon 4:53pm/4:57 pm/Susan - thanks. I swear I couldn't find anything new on the US site except for the Fluffed Up vests and those might even be left overs from last year. I can barely tell what's new either, which is a good thing for me! I think the Swiftly RB in heathered berry rumble is new. I want that in a long sleeve! Fluffed Up Vest is last years. I saw the align pant in gator green. don't recall seeing that b4. Other than that there was nothing I saw that was new. Super frustrating. Has anyone tried the high rise wunder under crop in 'shine on'. I'm trying to figure out if I like the lines that are in the fabric. they look flattering but I wonder if you can feel where they are (assuming they are seams??). I believe the swiftly racerback in heathered rumble Berry is new in the US. I ordered the heathered jungle swiftly racerback tank and was disappointed that it is 2 inches shorter than my older swiftly racerbacks. Hoping we see these gorgeous black-heathered swiftlies in the long sleeve, like we did with sapphire! Yay for recycled Fluffed Up items...not. 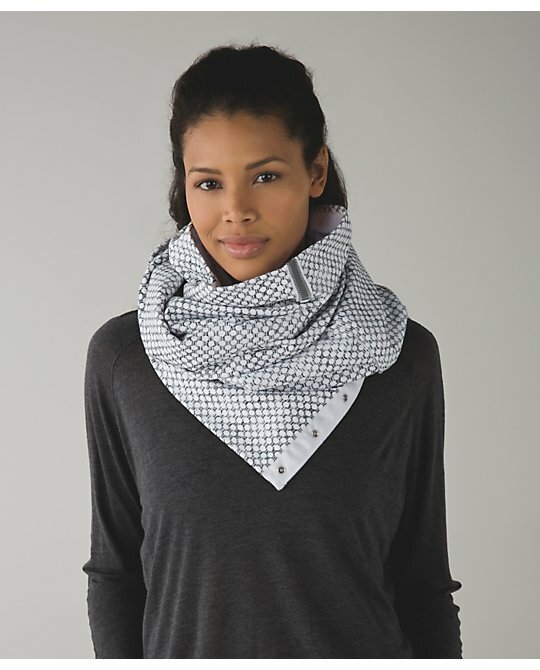 Hey luluaddict, do you know if the us will see any new rulu vinyasas this season? I've been hoping for one for a while now. 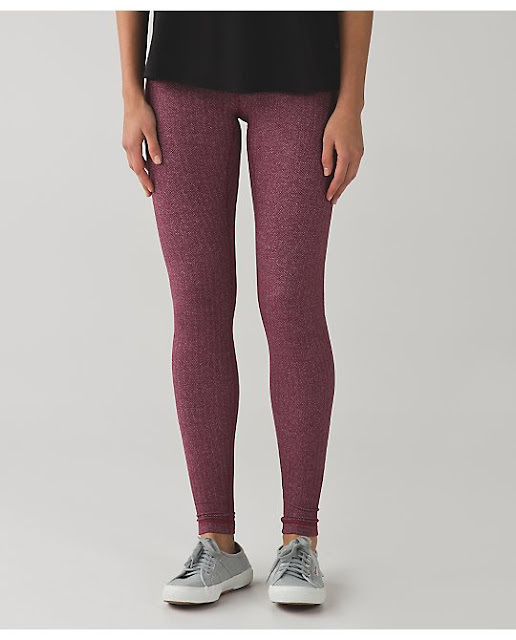 Pregnancy is putting a damper on my lulu addiction. 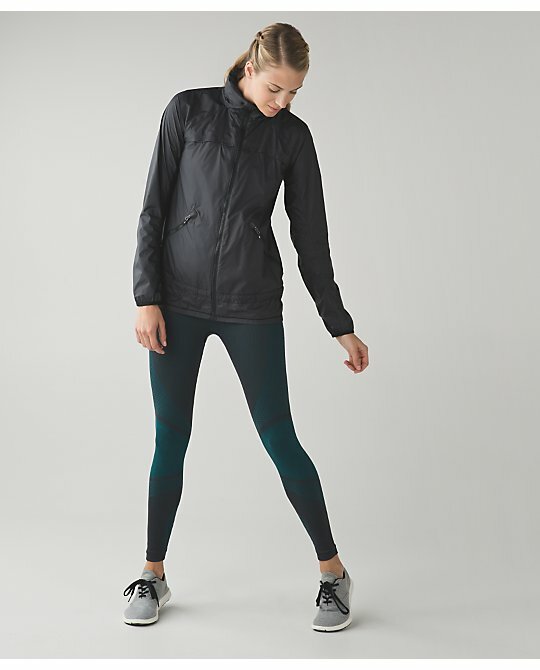 What's the fleece fabric like in the vinyasa canada got? This is an upload?!? Barely anything for the U.S.!! Not sure why I even bother to check the uploads anymore. My "wait for WMTM" approach has panned out for everything I've had my eye on. Something has to really wow me to pay full price, and nothing really has lately. Also I kind of have been lusting after a fleece vinyasa but I remember they went to wmtm last year so hopefully they will again ! Ok 3rd comment in a row lol sorry. Has anyone seen the kickin it sweat pants in store ? I have sattvas from this year and they stretched out so much I'm thinking maybe these ones will to... They look so cute and comfy though! @Brown Cow - I tried the Kickin Its on the other day at the South Coast Plaza store in California. They were super soft. I don't have Sattvas, though, so not sure about their potential for stretching out but I wouldn't be surprised if they did. @Skendall - There are some new tops in Tender Violet and Sapphire pique so you think we'd see some vinyasas in these fabrics, too. Thus far I've been underwhelmed with Lulu's offerings this season and this upload was a joke truly ! The fluffed up vests are likely leftovers due to the port issue last year.. I actually own both colors because I was fortunate to score the inkwell on super mark down at my Lululemon after the holiday :). I do love them so anyone that missed out may want to consider one . I've been waiting and waiting for the U.S. upload of it, but it looks like that will not be happening. It was uploaded to HK a couple of weeks ago, then to Canada Sunday I think. This is not the Pace Rival but the Pace Tight. Is there an angel anywhere willing to help me get a pair from Canada? Or have you have seen them in a US store I can call? If so, plse shoot me an email at ckahn at courtneykahn dot com. Thx! @ anon 8:08 pm - I think they fit on the larger side. The one review on the web says they stretch out so size down so they are so loose. @lulu - agree but I do like the black and white prints that were uploaded to the UK the other day. I am crossing my fingers for a sherpa jacket or pullover but that seems unlikely. I think the double uploads is just a way to try to peak interest. Reality is they aren't uploading any more than what they would on a normal Tuesday. It's ridiculous actually. I've actually forgotten about uploads lately. I think i'm cured of my addiction! Stephanie, I think the heathered rumble berry swiftly is also short! I hope I am wrong because the color is gorgeous!! I saw ut in store but didn't get the chance to try it on as I was in a hurry. I don't know what's wrong with Lulu lately. cutting corners like this is just silly. @ aon 9:01 pm- thanks for pointing these out! Kind of... slightly 'jealous' the UK upload is nice and in a way 'grateful' I will not be parting with my moolah, because the current upload is as everyone agrees kind of... (or obviously is) lacklustre. @anon10:06. After posting my first comment about rumble berry swiftly being uploaded Monday and "not shorter" I was curious and pulled out all 16 of my swiftly tanks. Results are that the jade and rumble berry are the same size as 10 others, 3 others are about an inch shorter (2012-2013 timeframe) and 1 longer. All of these are a size 4. im 5'4" so short works for me. I wonder if different sizes are having different inconsistencies? lately I just look at the WMTM section, if I don't see it on sale I don't buy it anymore. I also check the stores for sales. You could barely tell what was uploaded today, so frustrating. I did pull the trigger on the new jewelled magenta FTBW, but I'm still waiting on the forage teal define and the brown wunder unders in practice cotton. Very disappointing upload for the US and Canada. The UK really lucked out this week. Canada has the Sherpa lined Cozy Buttercup jacket. It looks warm, but both black and white colours are gone in the larger sizes. I truly disliked the asymmetrical closure and the somewhat matronly style , so I got the Radiant jacket instead, which was a fabulous find. For those of you who are wondering about the cotton fleece Vinyasas, I left a feedback on the LLL site. It is not so drapey as the rulu ones, but warmer. I only compared the new jungle green one to my bruised berry one... And it was 2" shorter. But I only have the bruised Berry and Bali breeze racerback swiftlies to compare to. Mine are size 6. I got a pair from a Lulu Angel from Australia. Took a whole month and just received it a couple of days ago. It is super awesome lovely imo. One of my top buys from LLL thus far. All the best in getting a pair.